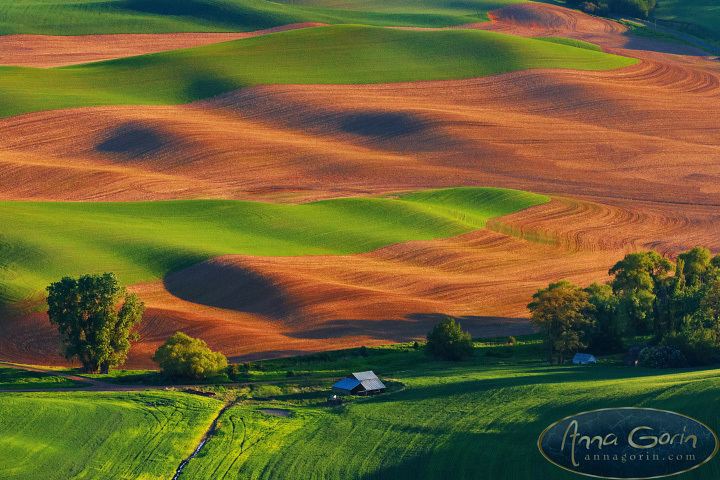 Growing up the high desert climate of Boise, Idaho, I have a strong yearning for lush green landscapes – what can I say, we always want what we don’t have! 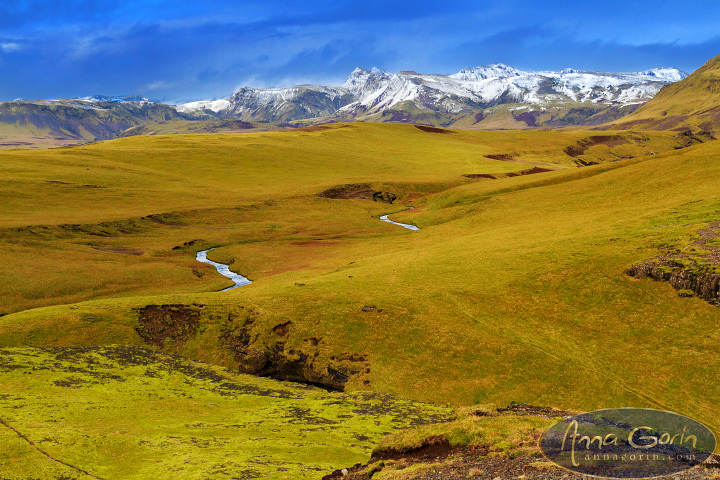 So when I first arrived in Iceland and took in the surprisingly dry autumn grasses and lava fields around Reykjavik and Thingvellir National Park, I was a little disappointed. Where was the magical Icelandic green I had dreamed of? That magical green exists mostly in the summer, it turns out, but fortunately southern Iceland around small-town Vik (population: 291) has its fair share of green, even in October. Take a look at some of my favorites from the area below, and stay tuned for some incredible Icelandic waterfalls coming up next! I’m a pretty big fan of autumn and a pretty big fan of travel adventures (also, surprise surprise, a pretty big fan of photography), so when I had the opportunity to extend a wedding photography trip to McCall over the entire weekend at the beginning of the October, no way I was going to back out! 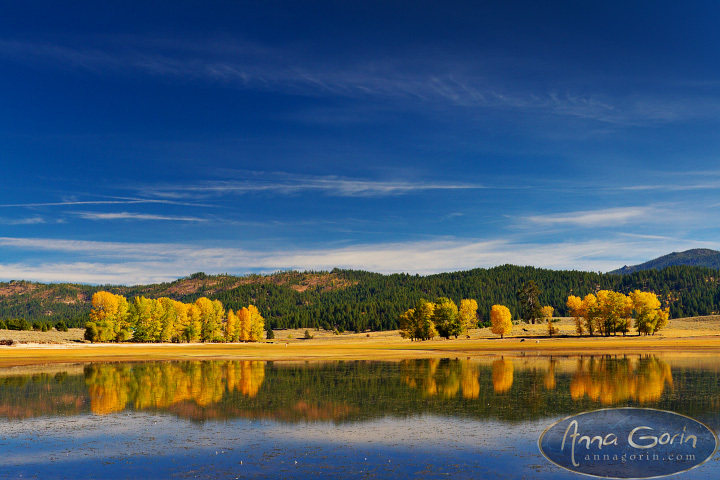 As it turns out, I was a little early for peak fall foliage and didn’t find quite as much as I was hoping for, but there were some pretty beautiful sights all around Payette Lake and a few south around Lake Cascade nonetheless, including a very friendly red fox. Check out some favorites below! Sunrise in a country with as many clouds as Iceland can be a bit iffy, to say the least. When I arrived at black sand beach Reynisdrangar with its towering iconic sea-stacks (petrified trolls, according to legend) and cube-like basalt columns, the wind was whipping, the sea was crashing, and there wasn’t a spot of sun to be seen. In fact it was so cold and miserable with the weather conditions and my yet to recover from jetlag that it was all I could do not to throw in the towel and take shelter in the car! But I stuck it out and tried to make the best of the less-than-ideal conditions for photos, which involved watching my tripod to make sure it didn’t blow over, and was eventually rewarded with this bit of color. 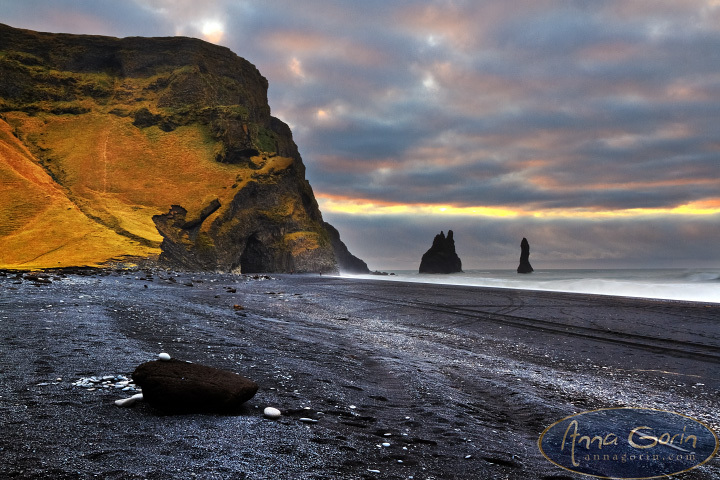 Iceland is so far north that sometimes sunrise colors stick around well into mid-morning – a photographer’s paradise. Well, with the colors at least. Check out some favorites below! No gulls at Gullfoss! 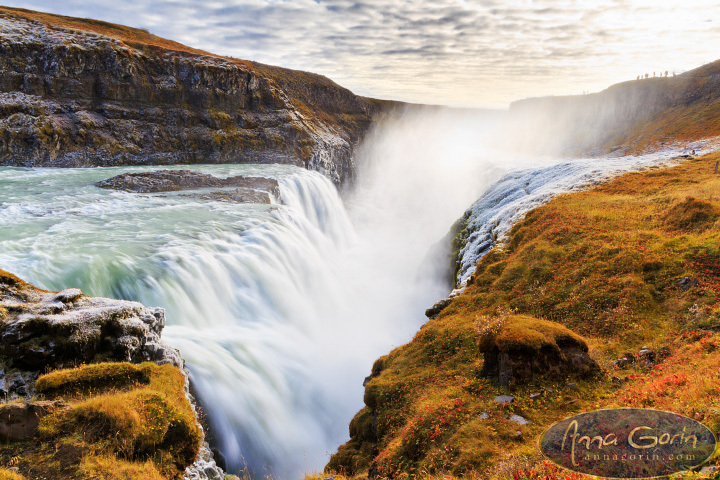 This famous set of waterfalls translates from Icelandic as “Golden Falls” and is one of Iceland’s most famous (and most photographed) travel destinations. Small wonder: the sheer power of the raging water roaring into the canyon is jaw-dropping. Freezing October temperatures meant the canyon walls were dusted with a surreal layer of frost, making the landscape even more gorgeous. It’s hard to find a new take on a place that has been captured so many times before, but here’s my attempt – enjoy!